We can make your functional, low-maintenance floors look surprisingly beautiful and elegant. We'll make sure the cleanliness of your facility reflects your high standard of professionalism. It's what sets us apart.We are known throughout the Philadelphia / Delaware Valley area for excellence in residential and commercial maintenance, but what truly sets us apart is our specialized floor and surface care services. Expect nothing less than extraordinary results at competitive prices. FLOORS, COUNTERTOPS, SHOWERS, MONUMENTS AND MORE... If it is natural stone, quartz surface or even solid surface, our Marble Lustre experts know what it takes to restore them to like new and help you keep them that way. Your fine floors and surfaces are a reflection on us as much as they are on you. TERRAZZO can be polished to a smooth glass-like finish or a matte or semi gloss finish with little or no down time. No stripping. No waxing or coatings. No kidding. AND CONCRETE... We will amaze you with the transformations we can make. Do you have tile and grout that has seen better days? 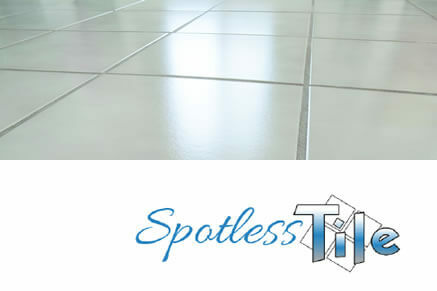 Our Spotless Tile division is dedicated exclusively to cleaning and sealing your porcelain, ceramic, glass, artisan tiles, Saltillo and terra cotta. We have what it takes to make your tile floors, showers and other surfaces look great and stay looking great. 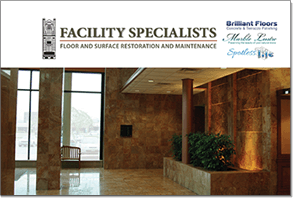 Facility Specialists has been serving the Philadelphia / Delaware Valley area with full service facility management since 2003. Our team will clean, restore and maintain your surfaces or properties with the same pride and attention to detail as we would our own. For us, a job is never just a job – it is our legacy, as well as the first step in creating an ongoing, mutually beneficial relationship. We offer Commercial Maintenance Services, providing tailor made services for your properties, office space or retail facility to routinely clean, restore and maintain your natural stone, tile & grout and concrete floors — keeping your company always looking its best. 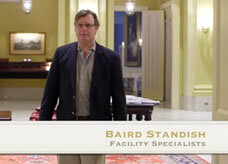 At Facility Specialists it is our specialized divisions that really set us apart. Each one of these divisions brings highly qualified people trained in the particular type of surface and the professional equipment required to get the job done to excellence. 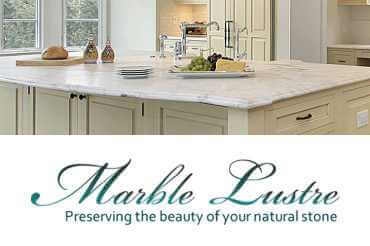 Our Marble Lustre division offers expert restoration and care for all natural stone repair, cleaning, polishing and restoration, including marble, travertine, granite, slate and other stone floors, countertops, vanity tops, walls, statues, monuments and other surfaces. 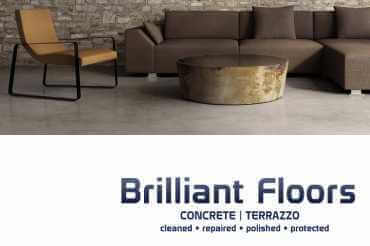 Our Brilliant Floors division focuses on concrete and terrazzo floors. If your terrazzo floors are in need of stripping, cleaning, repair or polishing, We’ve got you covered. What we can do with concrete will amaze you. We offer stamped concrete, acid stained, decorative overlays, and polished concrete. Our Spotless Tile services include tile and grout cleaning, grout color sealing, on all sorts of tiles… porcelain, ceramic, glass, decorator tile, Saltillo and terra cotta. Download the PDF version of our brochure. Or, if you’d like, give us a call at (215) 732-7505 and we can send one to you.